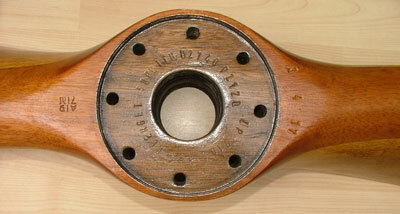 Welcome to the propellers RFC WW1 Propellers Page. for the following aircraft. We manufacture these props by hand using 100% traditional methods and materials. We can supply Props for the following aircraft .Bristol Scout , DH 5 , DH 2 , Sopwith Triplane & Sopwith Strutter , Sopwith Baby , Paragon 2 & 3 blade props ( American) , Morane Saulnier , Tiger Moth and Genet. 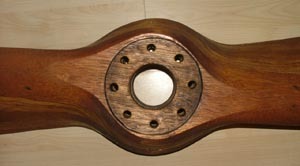 All Propellers available some in stock and some made to order please email your requirements. Please note there are no shipping charges made in the shopping cart. Each prop will be sent at cost. Will arrange shipping worldwide. We send using a special courier and costs vary for each destination. 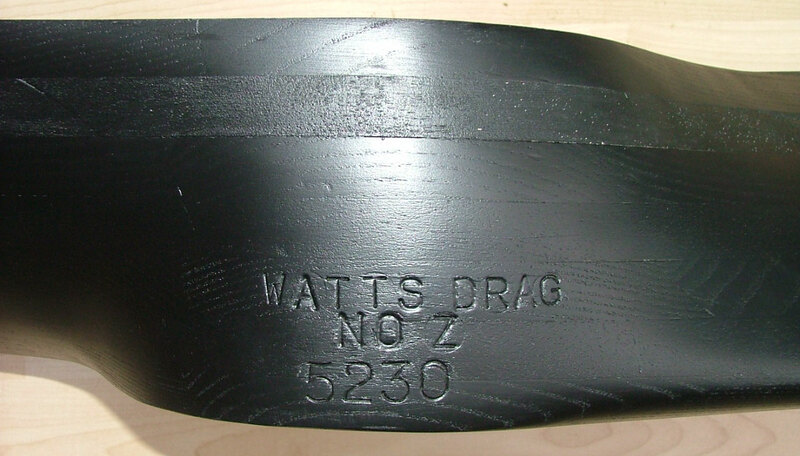 They are competitive and you can of coarse collect personally or arrange your own shipping. It will be sent at cost plus a �10 charge for packing. I will protect the blade tips with thick cardboard , expanding foam and seal with layers of bubble wrap. 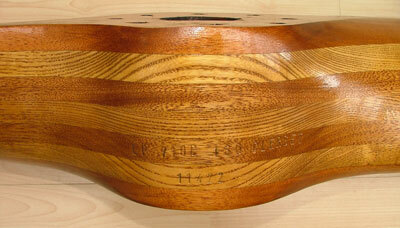 If shipping abroad we advise you have a wooden crate made. If you want a crate made we can do this but it will cost extra. 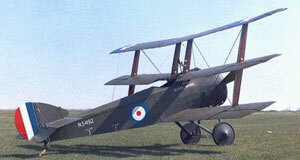 Great Britain founded the Royal Flying Corps (RFC) in May 1912. It was decided that initially the BE-2 would be the main fighter plane. By the end of 1912 the RFC had one squadron of airships and three of aircraft. Each squadron had twelve machines. 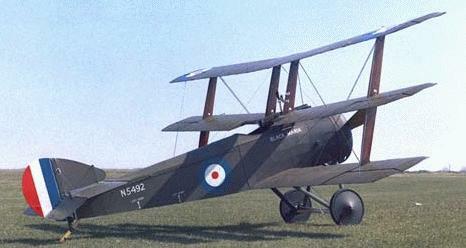 At the beginning of the war the RFC mainly used the BE-2, Farman MF-7, Avro 504, Vickers FB5, Bristol Scout, and the F.E.2. 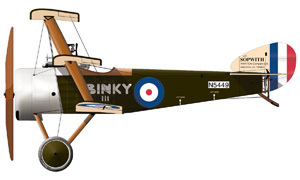 By May 1915, the Royal Flying Corps had 166 aircraft. 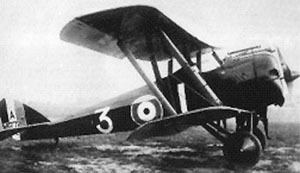 Therefore the vast majority of the operations on the Western Front was carried out by the A�ronautique Militaire, which had 1,150 aircraft available. In August 1915 Hugh Trenchard became the new RFC field commander. Trenchard took a much more aggressive approach and insisted on non-stop offensive patrols over enemy lines. British casualties were high, and by 1916, an average of two aircrew crew were lost every day. 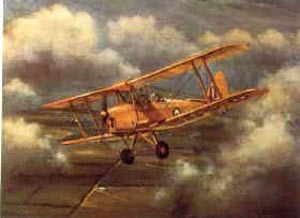 It became even worse the following year, and in the spring of 1917 the RFC were losing nearly fifty aircraft a week. By the time the Battle of the Somme started in July 1916 the RFC had a total strength of twenty-seven squadrons (421 aircraft), with four kite-balloon squadrons and fourteen balloons. The squadrons were organised into four brigades, each of which worked with one of the British armies. 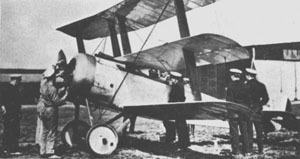 It was only with the arrival of improved fighter planes such as the Bristol Fighter, Sopwith Pup, Sopwith Camel, S.E.5 and Airco DH-2 that losses began to decline. 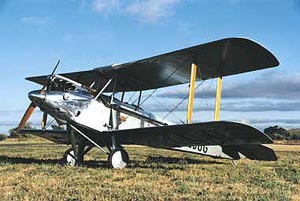 Britain also developed new bombers such as the Handley Page and Airco DH-4. By the end of 1917 the British has established their superiority over the German airforce. General Hugh Trenchard, the RFC field commander in France, was a strong supporter of strategic bombing. Eventually, in January 1918, Trenchard was appointed chief of staff to the Royal Air Force with the promise of being able to create a mass bombing fleet of aircraft. By the end of the war the RAF operated 4,000 combat aircraft and employed 114,000 people. 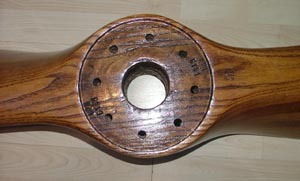 This is a superb wooden propeller for a Sopwith Baby a Classic WW1 Biplane Seaplane. 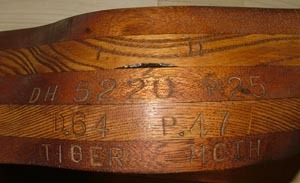 10Ft 6 inches in diameter hand made using traditional methods by our craftsman, They are marked correctly with period stamps. 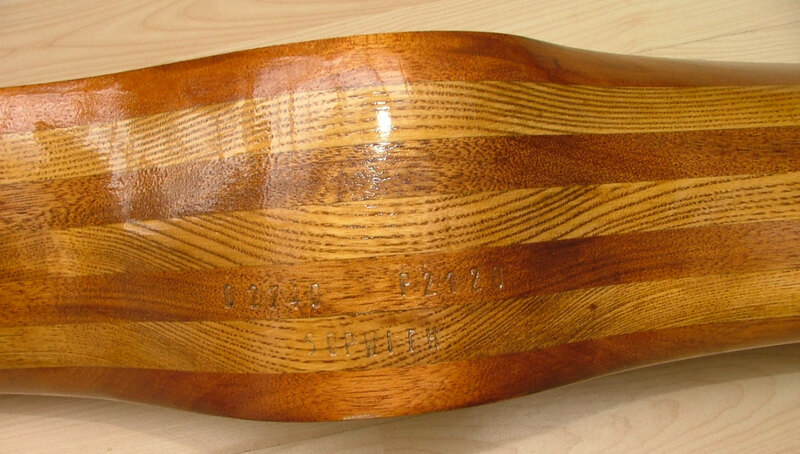 We only use good quality Ash and Mahogany. I do not like to call it a repro or copy as it does not do it justice and suggests they are somehow inferior to the ones produced in the early 1900s which it is not. It is made to original specs and identical in every way to the ones made 80 years ago, using the same labour intensive techniques. The laminate's are locked using dowels and traditional glue. 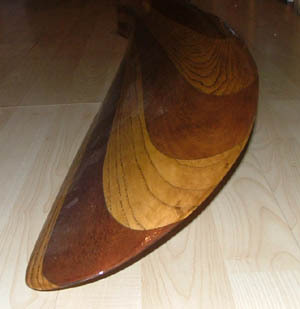 It took our craftsman 10 days to make this awesome propeller. They are not massed produced. 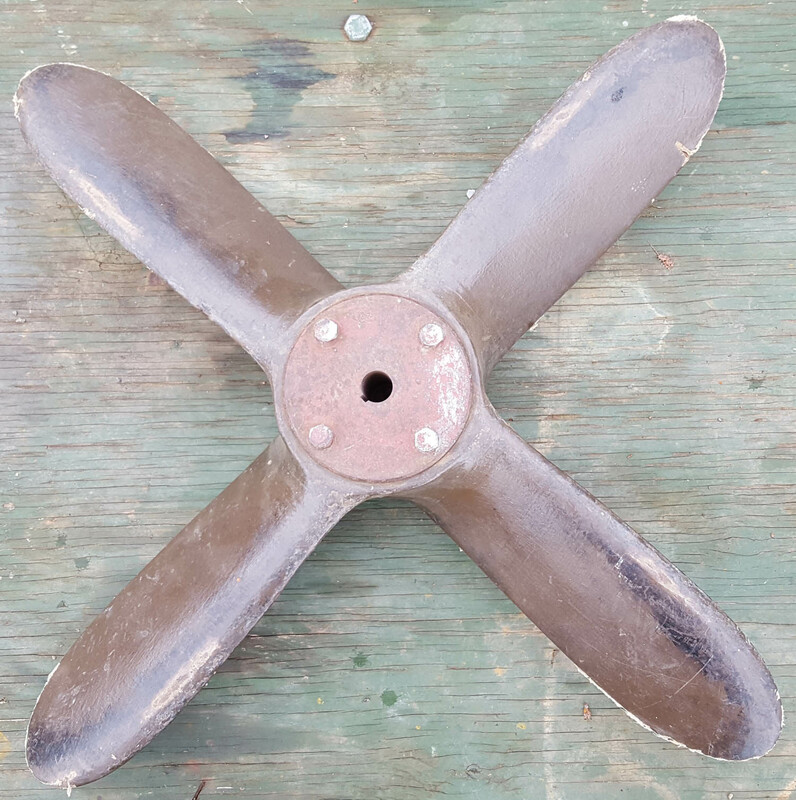 We have a large inventory of WW1 Propeller's. We can produce props to your specification in materials and glue if you wish to get them approved for flying. 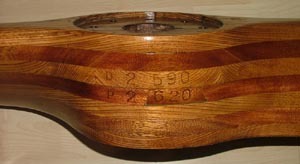 This one is balanced but for sale as DISPLAY ONLY. 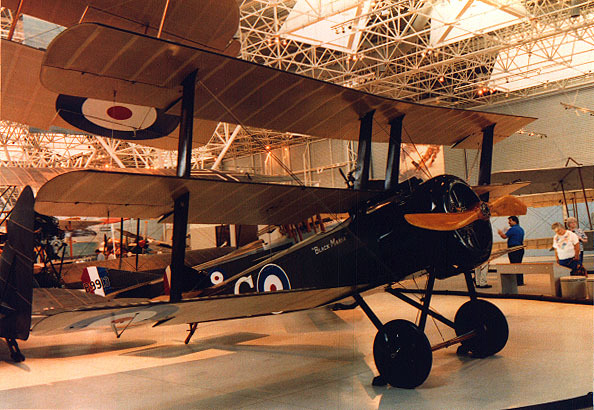 The Sopwith Baby traces its origins to the two-seat Sopwith Tabloid (or Scout) built by Sopwith in November 1913, and introduced into RFC service in the following month. It gained fame when a modified version won the Schneider trophy in 1914. 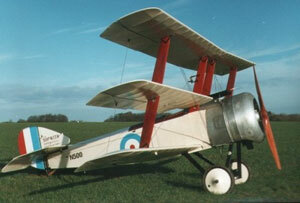 However it was only in January 1915 that the RNAS placed formal contracts for the Baby. In production form, the Baby did not differ much from the Schneider trophy winner. The Baby was deployed aboard seaplane carriers, cruisers, trawlers, minelayers, and various other ships. An attempt was made to deploy it even on a submarine! Babies were used to thwart enemy airship attacks as far as possible from home waters. 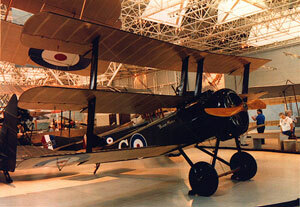 Besides Sopwith, the Blackburn, Fairey, and Parnall companies also built Babies. 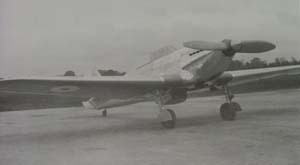 Additionally the SA Aeronautica Gio Ansaldo of Turin also built the Baby under license in Italy. Babies served with Canada, the US, France, Chile, Greece and Norway. Several Babies were built in Norway as replacements where they served until as late as 1930. Norwegian Babies were lent to Roald Amundsen for use in his polar expeditions. Altogether, about 700 Babies were produced. Will arrange shipping worldwide. Please make your own estimation of shipping costs. We send using a special courier and they get fed up quoting me for all the destinations I get asked to post to. They are competitive and you can of coarse collect personally or arrange your own shipping. It weighs 35Kgs and is a little over 2.6 metres by 0.3 meters wide by 0.16 metres deep. It will be sent at cost plus a �10 charge for packing. I will protect the blade tips with thick cardboard and seal with layers of bubble wrap. If you want a crate made we can do this but it will cost extra. 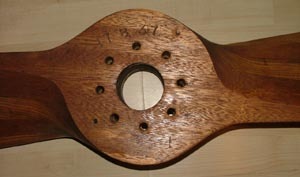 This is a superb wooden propeller for a De Havilland DH5 over 8Ft in diameter hand made using traditional methods by our craftsman, They are marked correctly with period stamps. We only use good quality Ash and Mahogany. I do not like to call it a repro or copy as it does not do it justice and suggests they are somehow inferior to the ones produced in the early 1900s which it is not. 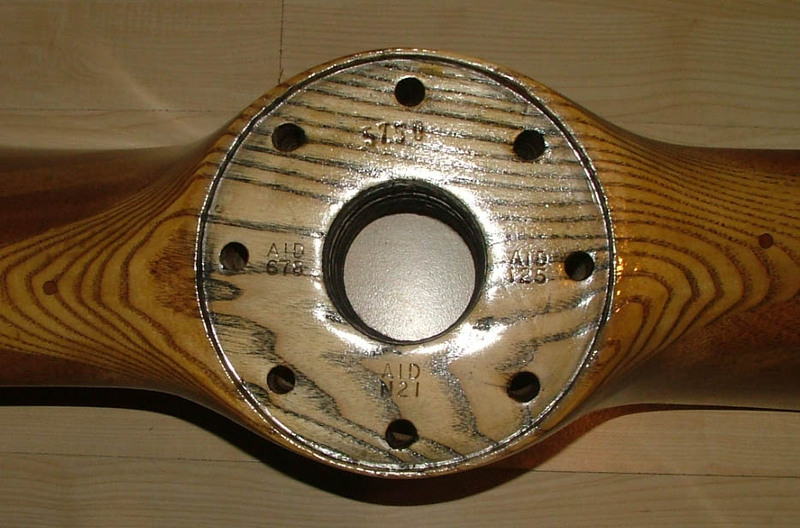 It is made to original specs and identical in every way to the ones made 80 years ago, using the same labour intensive techniques. The laminate's are locked using dowels and traditional glue. 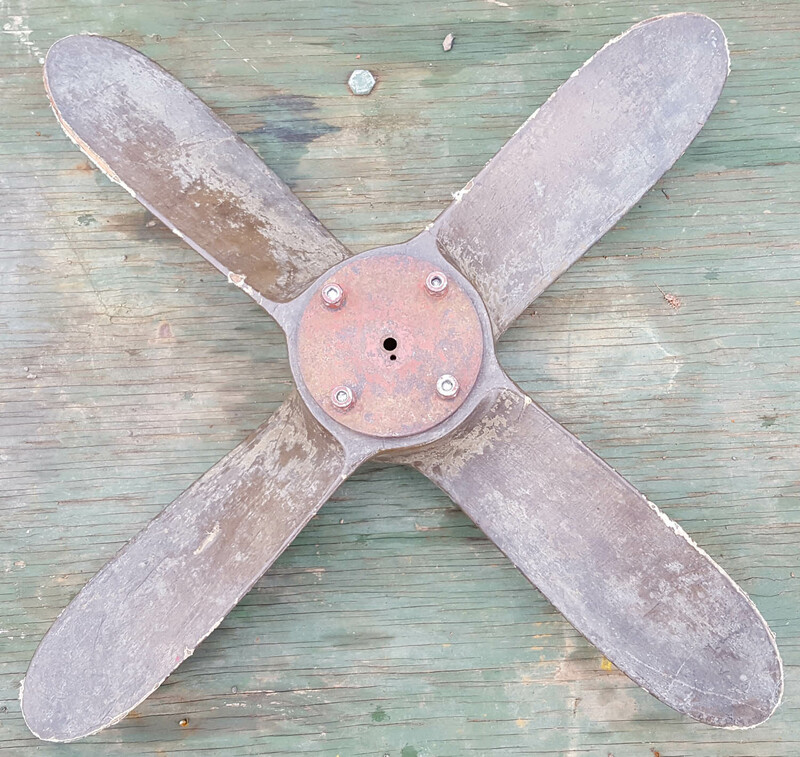 It took our craftsman 10 days to make this awesome propeller. They are not massed produced. We have a large inventory of WW1 Propeller's. 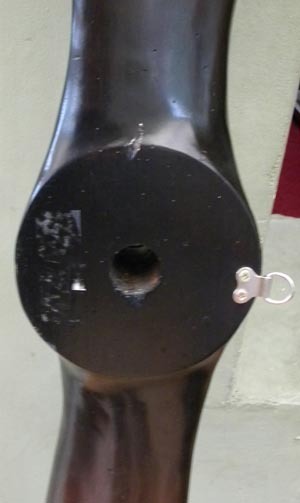 We can produce props to your specification in materials and glue if you wish to get them approved for flying. This one is balanced but for sale as DISPLAY ONLY. 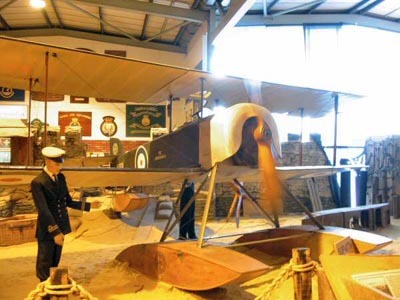 The Sopwith Triplane prototype appeared in May 1916 and was found to be highly manoeuvrable with a phenomenal rate of climb. 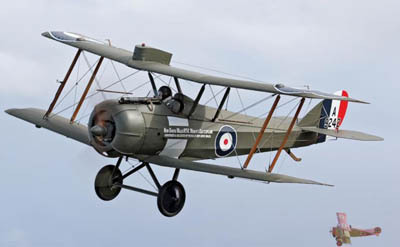 Both the Royal Flying Corps and the Royal Naval Air Service ordered the type but policy changes led to the Triplane only being used by the Royal Naval Air Service fighter squadrons on the Western Front. 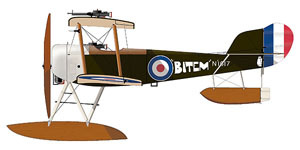 Several of the Royal Naval Air Squadron pilots scored many victories while flying the type and it made such a profound impression on the Germans that a specific request was made to their aircraft manufacturers to design and produce triplane fighters. 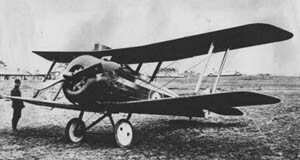 Only the Fokker Dr1 was built in quantity and it gained fame as the aircraft frequently flown by Manfred von Richthofen. The triplane concept had a brief life and in less than two years it had been eclipsed by the new and more powerful biplane fighters on both sides. This is a Massive superb wooden propeller for a Sopwith Triplane.A Massive 10ft 10 inches in diameter hand made using traditional methods by our craftsman,Note the unique shape of the triplane prop with its flat ends. They are marked correctly with period stamps. We only use good quality Ash and Mahogany. I do not like to call it a repro or copy as it does not do it justice and suggests they are somehow inferior to the ones produced in the early 1900s which it is not. 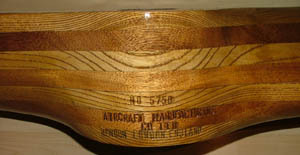 It is made to original specs and identical in every way to the ones made 80 years ago, using the same labour intensive techniques. 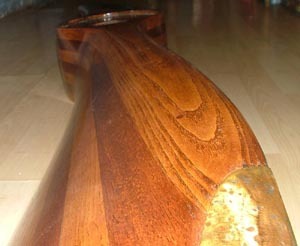 The laminate's are locked using dowels and traditional glue. It took our craftsman 10 days to make this awesome propeller. They are not massed produced. 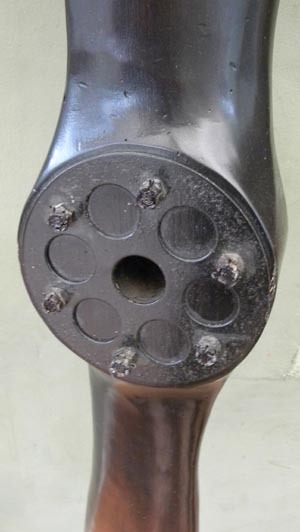 We have a large inventory of WW1 Propeller's and its unlikely we will produce another of these for six month's. We can produce props to your specification in materials and glue if you wish to get them approved for flying. This one is balanced but for sale as DISPLAY ONLY. Prefer collection but will arrange shipping worldwide. Please make your own estimation of shipping costs. We send using a special courier and they get fed up quoting me for all the destinations i get asked to post to. They are competitive and you can of coarse collect personally or arrange your own shipping. It weighs 35Kgs and is a little over 2.7 metres by 0.3 meters wide by 0.16 metres deep. It will be sent at cost plus a �10 charge for packing. I will protect the blade tips with thick cardboard and seal with 5 layers of bubble wrap. 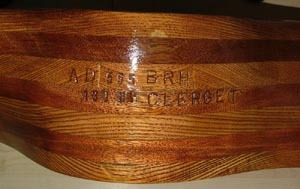 If you want a crate made we can do this but it will cost extra. 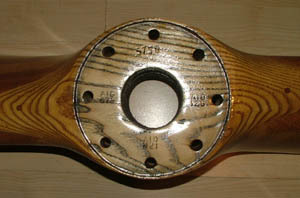 This is a Watts propeller. This type of propeller was used on very early Spitfire's the protype, Mk1 and Hurricane Mk1 in very limited numbers. This a prop I purchased its not one that we make and not sure of its application. 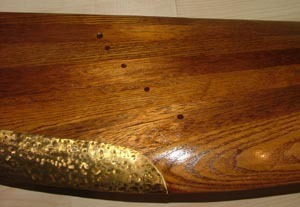 A nice display piece over 6ft long with brass work. Here is a small wooden auxiliary wooden prop with a canvas finish its is 100% original not one of our new made props. Research leads me to believe this prop was used on British WWI airships as an auxiliary to power a generator or rudder servos. It has some numbers on the steel plate as follows.